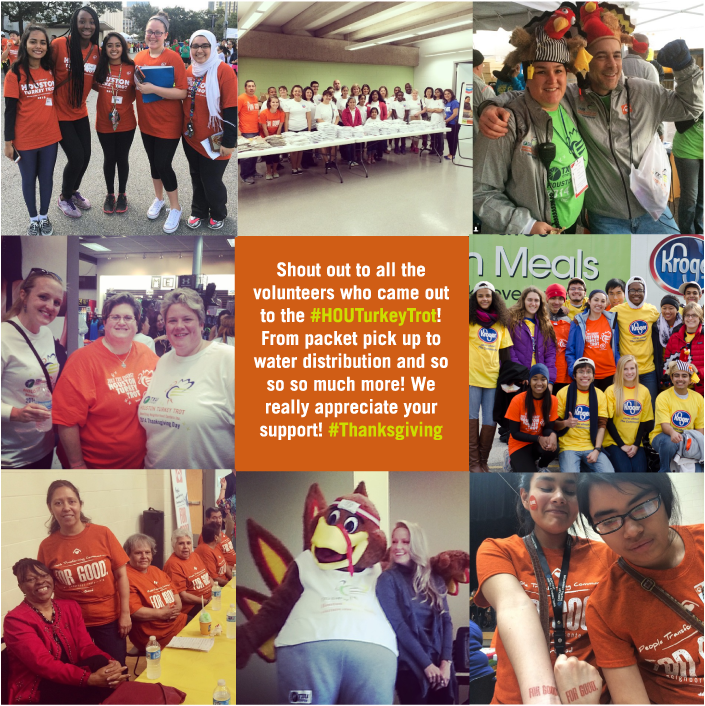 In order to make the BakerRipley Houston Turkey Trot the best event it can be each and every year, we rely upon dedicated volunteers who donate their time and their labor to making sure it’s a Thanksgiving tradition that all can enjoy. People just like you help us make the BakerRipley Houston Turkey Trot a fun, safe event for more than 13,000 runners. School groups, families, businesses, and individuals all come together to help us put on the event and ensure everyone enjoys themselves. We could use your help, too. Volunteering at the Trot is a great way to contribute to BakerRipley’s community-building mission. Join us! We also need volunteers to assist with race-packet pickup the week before the Trot. Click the link below to fill out your volunteer application to be put on the list for volunteer notifications. If you already have an account, stay tuned for updates closer to November!